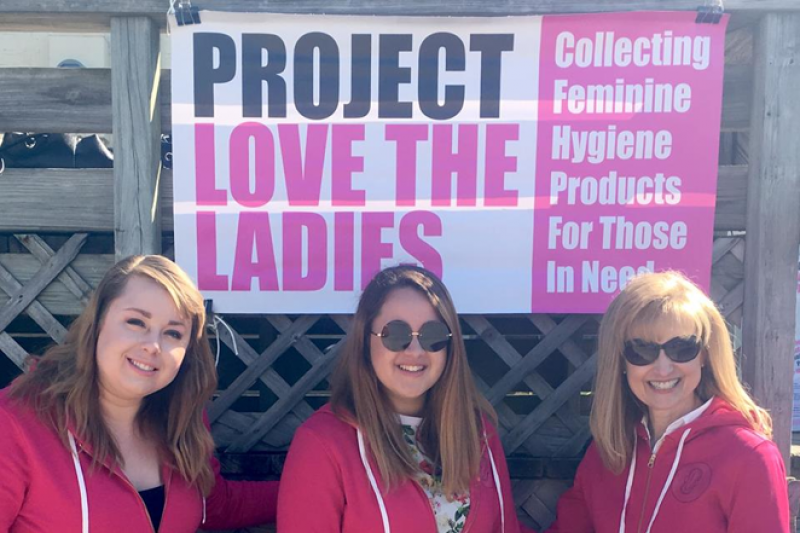 In 2015 we started Project Love the Ladies as a yearly service project to collect feminine hygiene products for those that cannot afford them. We place donation drop off boxes throughout Bloomington/Normal but wanted to make sure that anyone who wanted to donate, whether near or far, could! Most people don't think to donate sanitary pads or tampons when they make food pantry donations so they usually don't have enough to give out. Food stamps cannot be used to purchase them. 100% of the funds collected here will be used to buy supplies for the Neville House Domestic Violence Shelter, Home Sweet Home Mission, and St. Vincent DePaul Food Pantry. March 24, 2019 - Our campaign kicked off on March 6th and goes until April 14, 2019. This year we have been joined by Merry Maids of Bloomington/Normal, Axel Jiminez, State Farm agent, the McLean County Democratic Party, ISU Honors Program, and Encounter at ISU as well as ongoing support from St. Patrick's of Merna, Coffeehouse and Deli in Uptown Normal, Holy Trinity Parish Center and St. Mary's of Bloomington. All these locations have drop boxes! We are grateful for the product and monetary donations we have already received. It's not too late to participate! Drop off or donate until April 14th! Donations go to Neville House, St. Vincent de Paul food pantry, and Home Sweet Home Mission. Project Love the Ladies 2018 is up and running! New this year, Illinois has passed a law that makes feminine hygiene supplies non-taxable. Your donations will go farther! We are happy to do the shopping for you! Let's fill my dining room! Project Love the Ladies 2018 is up and running! Let us do the shopping this year for you. 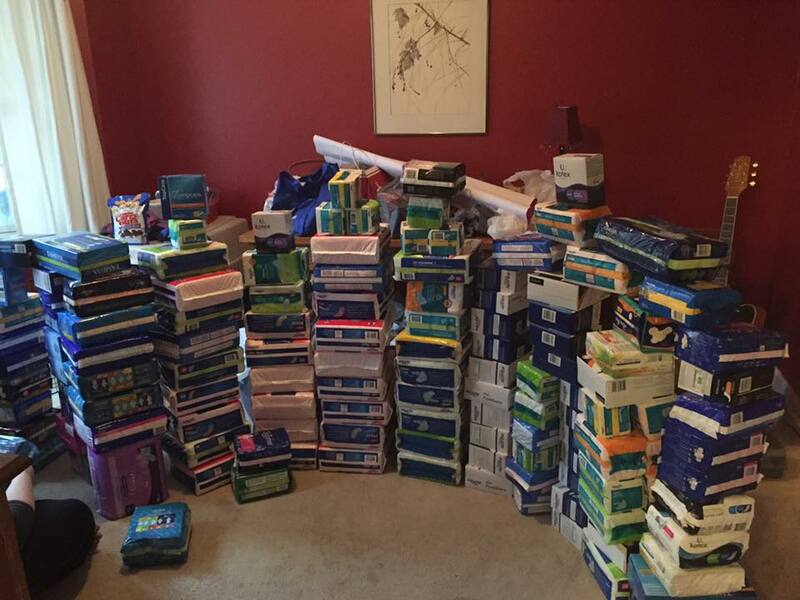 100% of your donation is used to purchase feminine hygiene supplies. New this year: Illinois no longer charges sales tax on sanitary supplies! Your dollars will go farther! Let's fill up my dining room ! Thank you for helping women in our community. I care about ladies having what they need. Congratulations on reaching your goal! Thank you for helping out those in need. Providing for basic female needs is a no-brainer. I donated because I want to help out. I know woman need these. I had endometriosis and went through a ton before my surgery.